Moviestar’s “Chosen Ones” presents more than an experimental, comic-book-worthy story: It dives into why we, as a society, need heroes more than ever before. Every good gang of superheroes needs an origin story. And as recent box-office hits (think the latest Thor and Justice League) have proven, the world can’t seem to get enough of its share of heroes, whether or not their stories are just beginning or whether they’re several chapters in. 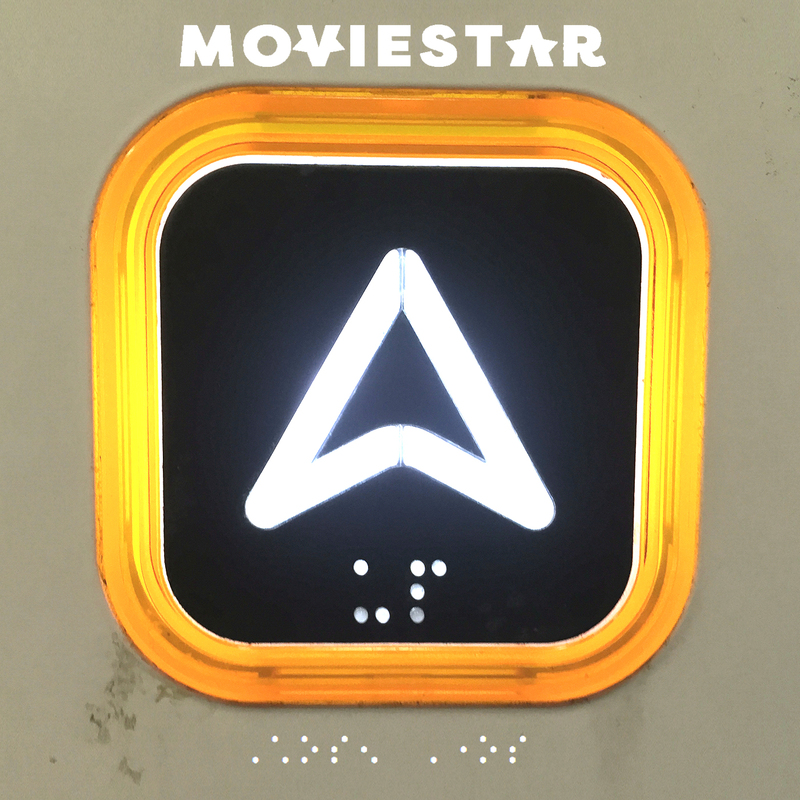 Which has worked out pretty well for the aptly-named musical group Moviestar. Billing themselves as “formed in the future on planet Fenris” and known by their comic-book-worthy stage names, Infinity Vik, The Octopus Goddess, and The Anaconda are a trio who make music that you won’t soon forget. Aural cocktails with unique sounds that stretch to infinity and beyond make Moviestar’s tunes special, and yet not at all as foreign as you’d think. Appropriately, their latest single, which Atwood is proud to be premiering today, is titled “Chosen Ones.” The first single off their upcoming album Stupid People / Happy Days (yes, that’s its name, and it’ll be out on February 9th, 2018 via Oh Yeah! ), the song is a near-perfect representation of Moviestar’s quirky, cinematic style. “Chosen Ones”begins with plucked strings, setting the stage for Infinity Vik’s vocals. As she murmurs the first lines, listeners are immediately drawn into the song’s narrative. Vik’s vocals, effortless without becoming lazy, propel the song forward as she weaves a tale fit for a comic book. As the song ebbs toward its chorus, it subtly builds energy. Once it hits the chorus, sweeping synth and vocals take over. With sounds that border on experimental but don’t depart from the familiar, Moviestar takes “Chosen Ones” one step forward, lyrically never letting the chorus stray from the story the song tells. The chimes and strings are gently welcoming, like stepping into a dream. With its gentle ebbs and flow of verse and chorus, the song itself not only tells a story, but creates an atmosphere”where dreams from our future will turn back into zeroes.” By adopting the perspective of a future outsider, Moviestar is able to take a different view on current events. The song is a call to listen: to not put aside the search for truth any longer. By dialing in to consumers’ appetite for big-budget superhero flicks, Moviestar is able to make an important observation about our society: the fact that we’re all obsessed with watching superhumans save the world has to say something about our need for heroes and “future stars.” Maybe we crave stories about heroes because we need something to believe in when the world is full of darkness. So if you’re not looking to fork over cash to Marvel or DC to get your superhero fix, tune in to “Chosen Ones.” In addition to getting stuck in your head for a few days, it’ll get you thinking about the reasons (that is, the reasons aside from our seemingly-collective fixation with Chris Hemsworth) why the world needs its superheroes. Lindsay is a writer (née Managing Editor) at Atwood Magazine. A graduate of Westmont College, she writes, edits, and does social media work in the greater Los Angeles area. You can typically find her reading any book, ever, drinking tea, or losing herself in thought in an art museum.